Regional Flavours, the Sunshine State’s free must-do food and wine festival returns to South Bank Parklands on 21 and 22 July. Get ready for your annual taste of Queensland on a plate. 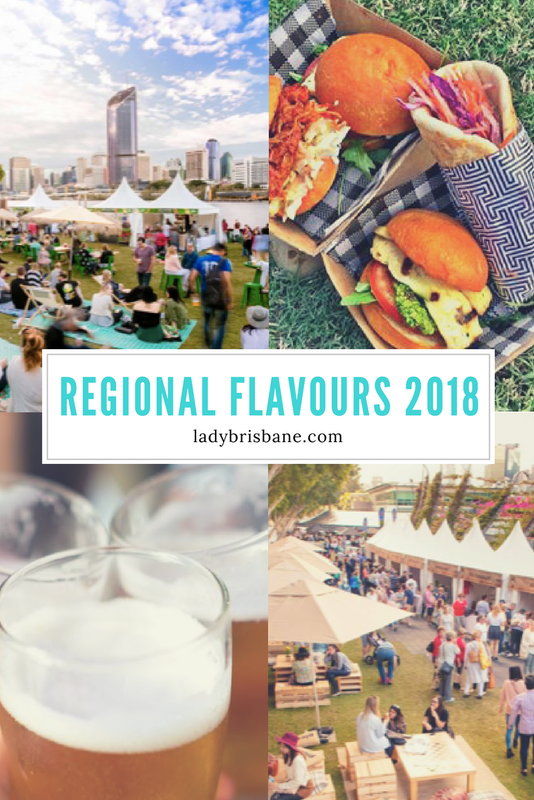 From lazy, waterfront cocktails to a bustling market, celebrity chefs and beyond, this free event is a unique celebration of Queensland food and drink. 2018 also marks a special milestone for Regional Flavours – 10 years since the event began. Brisbane foodies will be treated to a host of innovative and gourmet foods at this year’s Regional Flavours, including a locally-brewed coffee flavoured beer, which will be sampled for the first time at the event. Merlo Coffee and Fortitude Brewing have combined two of Queenslanders’ favourite beverages, beer and coffee, creating the Pot Shot Ale. See and hear from Sarah Wilson, Jessica Sepel, Alastair McLeod and Katherine Sabbath as they showcase healthy eating, with a focus on health substitutions for food intolerances and vegan diets. Also for the first time, take part in the development of new food products with a pavilion to showcase and taste test interesting food research being undertaken by universities. “Food-lovers should get ready to sample exciting new products at Regional Flavours including Kehoe’s Kitchen pro-biotic beverages, cashew-based cheeses and yoghurts, camel milk products, kombucha and kefir drinks, as well as fresh fruits, vegetables, nuts, spices, tea, honey, and Queensland wines.” Cr Quirk announced at today's event launch. To plan your day and experience Australia’s largest free food and wine festival, head to the link below. When - 10am to 5pm on 21 and 22 July, 2018. Note River Quay is open until 8pm & The Hunting Club opens from 5pm-late on Friday 20 July and until late on both other days.